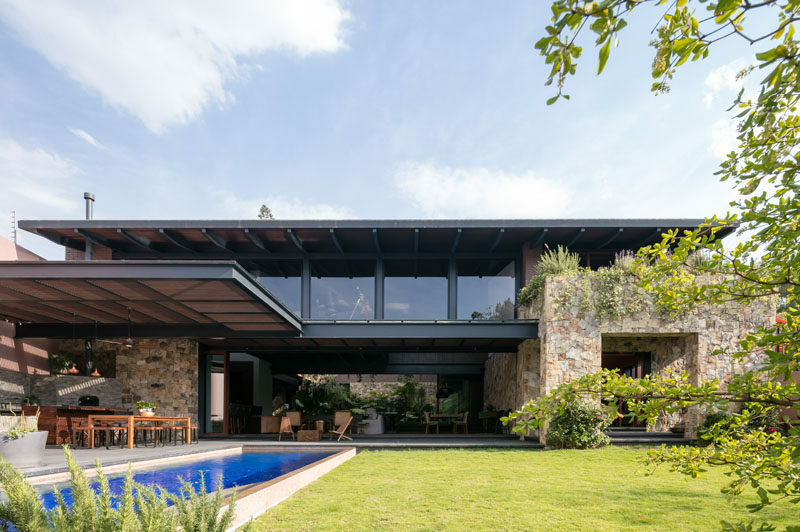 Andrés Escobar of AE Arquitectos has recently completed Casa OM1, a contemporary house in Guadalajara, Mexico, that’s been designed so that it can interact with nature. 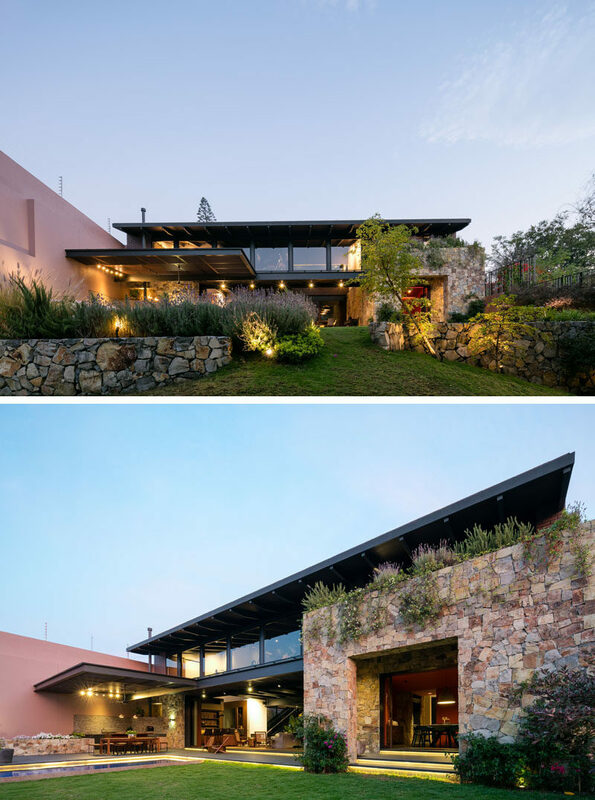 At the rear of the home, the sloped backyard has stone retaining wall filled with plants, while the grass leads up to the house. 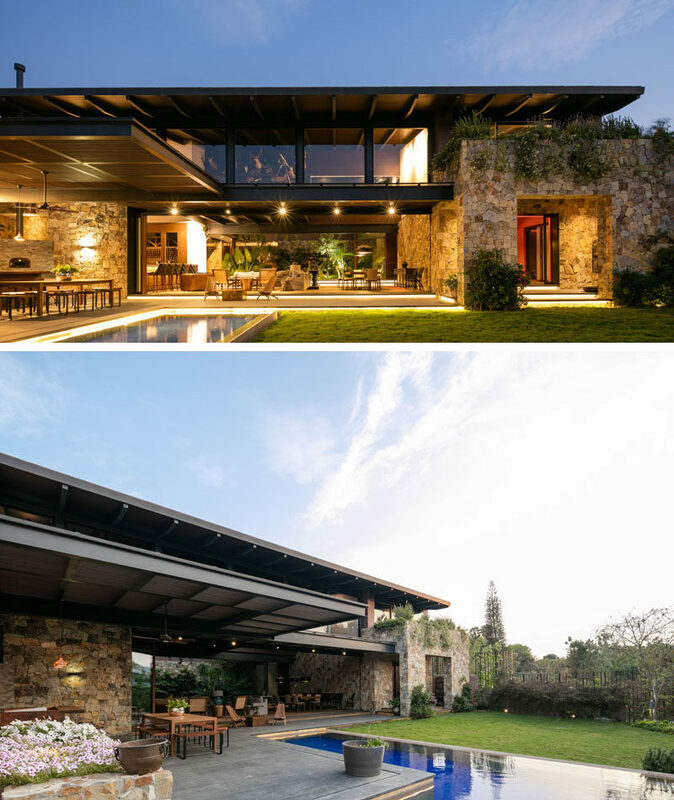 The main living level of the house can be opened to the backyard and swimming pool. 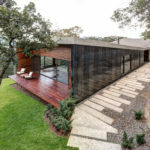 A wood deck with hidden lighting is home to a covered outdoor dining area and kitchen. Inside, the living room, dining room and kitchen all share the same space. 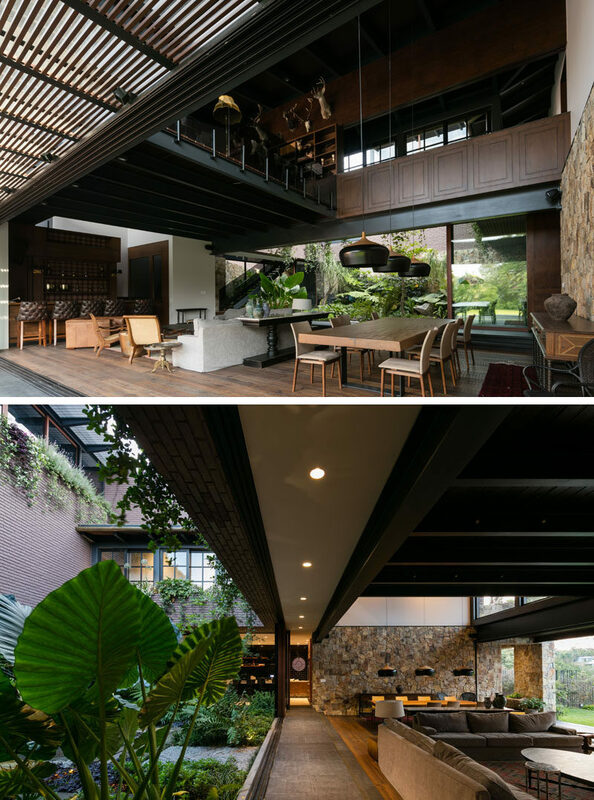 Both sides of the space open to green spaces, and a high ceiling allows plenty of light in. 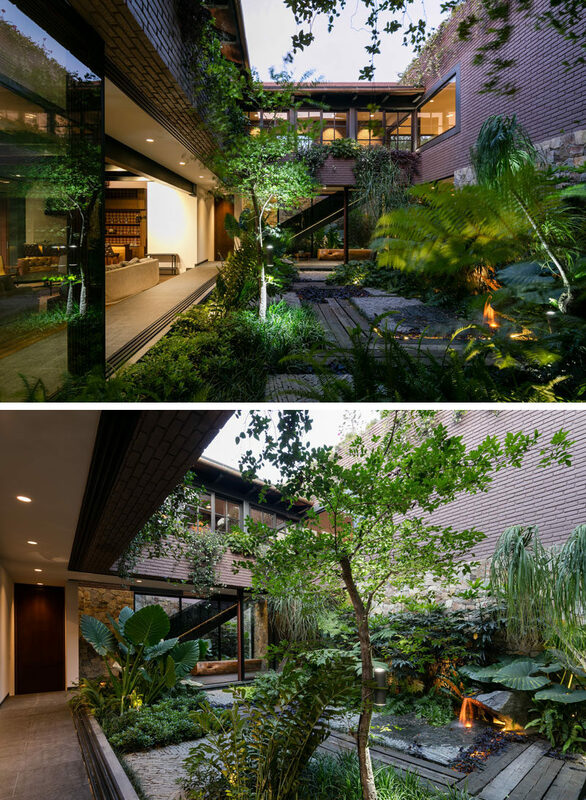 Next to the main living area is an internal courtyard, filled with plants and a water feature. Back inside, there’s a glass wall that shows off the courtyard from hallway. 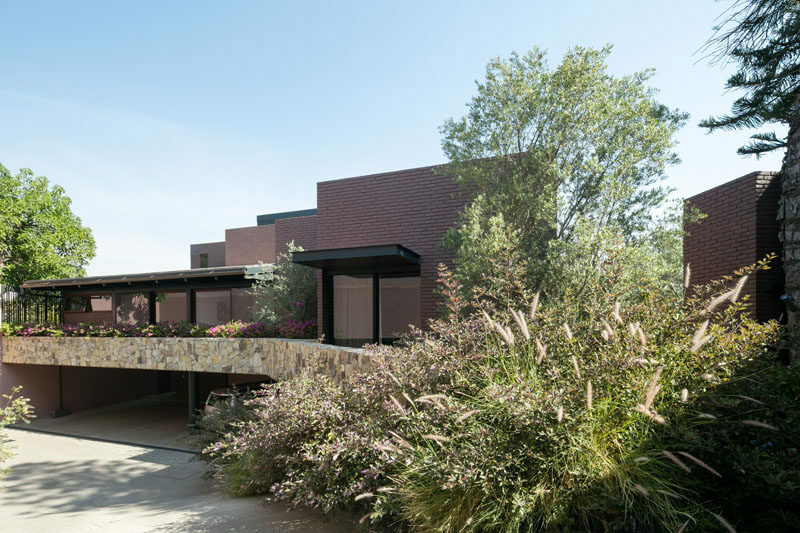 In the hallway and alongside the courtyard are some wood, steel and glass stairs that lead to the upper floor of the home.